Pygmalion Sculpting Art, Or Groping At Something Else? Easy there, buddy! 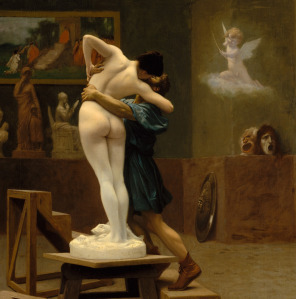 The Artist, Pygmalion, as captured by fellow studio artist, Jean-Léon Gérôme. Posted on February 14, 2014, in Uncategorized. Bookmark the permalink. 3 Comments.